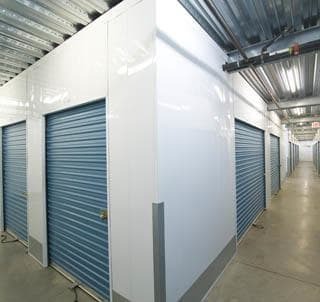 Otay Crossing Self Storage offers a wide selection of storage units for you to choose from. Sizes range from 5’x5’ to as large as 15’x75’. All of our units are at least 5 feet wide, so moving a couch, mattress, or any other large item into your unit is no problem! The facility has an abundance of exterior drive-up storage, which makes loading your unit very easy. Not to worry though, all of our interior units are in close proximity to elevators and doorways. Our facility provides complementary push carts to help load or unload your unit. Additionally, we also feature lifts for your belongings to spare you from carrying heavy items more than you need to. The property has wide concrete drive aisles for easy access, and there is music in the hallways to make your storage experience even better. Though our web rates are very competitive, many of our units frequently qualify for one of our great move-in specials. Also, Otay Crossing Self Storage is proud to feature our “1st Year Price Guarantee” which is unique in our industry. Unlike the majority of our competitors, we lock in your rate for the entire first year you store with us. In addition to move-in specials, we also offer numerous discounted rates. Please don’t hesitate to ask our manager if you qualify. Otay Crossing Self Storage offers specialty storage such as vehicle storage. Whether you’re storing your boat for the winter, want to store your car while on vacation or just need a spot to keep your RV, then we can take care of your storage needs!